Since we know that everything affects everything, let’s talk about how our financial lives are impacted by our family situation. Over 80% of SaverLife members live with at least one other person—be that a parent, child, partner, or roommate—and even if you are single, you may have heard that having a baby can really break the budget (that may be enough to freak you out!). Every family is unique and every family has different priorities and goals. You may be saving for your kids’ education, your dream wedding, a family vacation, or a safe place for your kids to grow up. 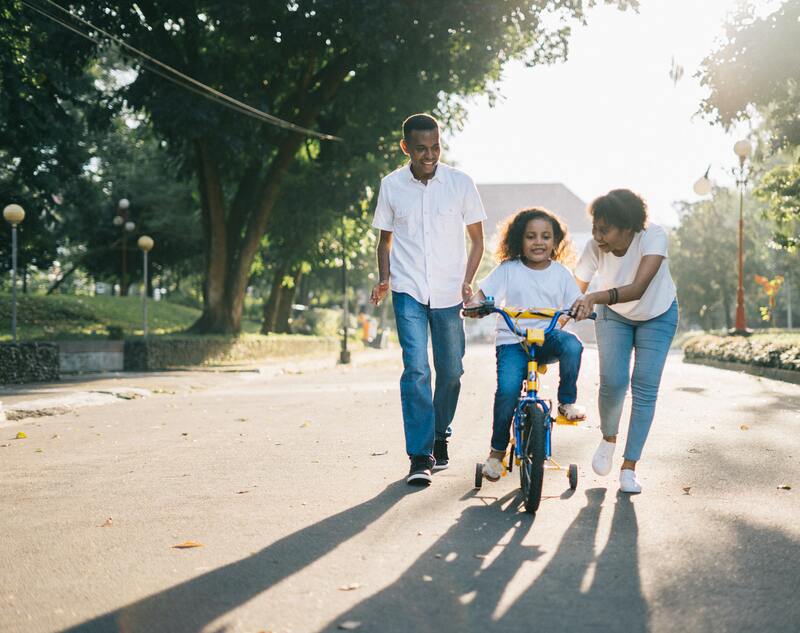 Every change in family structure, whether you are getting married, moving in with a partner, or having children—is a big financial decision that involves navigating a complicated financial landscape. Here are some ideas for icebreakers to start important conversations about family changes. How do you live with money now? What is your money “profile”? Are you a saver or a spender? What financial expectations do you have for your partner? These could be expectations about the decisions they’ll make or their financial behaviors. How will you handle differences in money habits and attitudes? How will you determine individual and shared financial priorities? If you’re able to talk honestly about these issues and feel confident that you’re on the same page with your partner, that’s a really good place to start your financial journey together. What are your core values about money and family? What adjustments are you willing to make to accommodate this change? How will you address unexpected health issues, special needs, job changes, and income fluctuations? Medical expenses: What is covered by your insurance? What are the gaps? Cash flow: What will change? Taxes (BONUS! ): Your cute little tax deduction! Estate planning and guardianship arrangements: Who will take care of your little one if you can’t? With a baby, there are both one-time expenses and ongoing expenses. How will you address both? A cool resource from BabyCenter can help you come up with a rough estimate of first-year baby costs. Of course it’s not possible to think about everything, but you can plan for changes you are anticipating (even if they are far off into the future) by taking a few steps to build your financial security. Read more about important financial moves for new parents. My favorite advice for these life-changing changes? Plan for the worst and get ready for the best. Photo by Agung Pandit Wiguna from Pexels.